- One of Canada's most respected English language schools. - An international + Canadian community...and we can´t wait to welcome you! 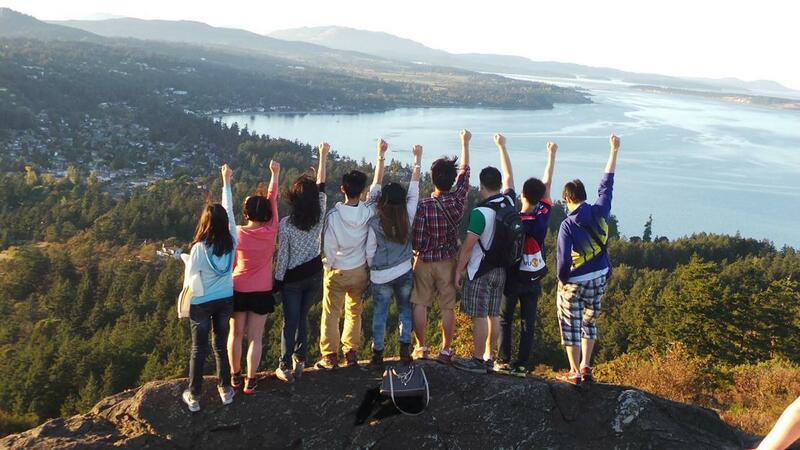 Our English Language Centre at UVic has offered intensive English programs since 1970, and is today one of the biggest on-campus English schools in Canada. Each year students from more than 30 countries are welcomed to our programs from one to three months in length. Many students actually stay much longer with us, all depending on their needs and goals. We are experts in the field of English language training, so we are focused on the success of our students and that they are supported throughout the process. When a student decides to study with us he or she can be sure that every detail of their program is covered: classes, accommodation, meals and activities. Our classes will are planned to build their English skills while at the same time helping them to feel at home in a new culture and city through a variety of activities. The academic, social and cultural experience that students enjoy in "ELPI" make this one of our most popular programs - welcoming over 1000 students each year. This program includes a range of class levels, allowing students to build on progress in previous sessions and also offers a path to University of Victoria degree programs. ELPI combines intensive classes, tutorial resources and a full activity calendar so that students can practise their English skills in a variety of settings while exploring Canadian culture. These intensive courses are offered two (2) hours per day, two (2) days a week: Tuesday and Thursday. University Admission Preparation is the highest level in the 12-Week program (ELPI) offered in January, April and September. Successful completion of this level satisfies the English requirement for entry into UVic undergraduate andsome UVic graduate programs. This program prepares students to study at an English-speaking university by developing the necessary skills for a non-native speaker to participate in an academic setting with confidence. This elective offers a series of Business English classes for students registered in our July 4-week and August 3 & 4-week programs. In addition to attending general English classes each morning, you will attend afternoon classes develop writing (email, correspondence and formatting), presentation, discussion and debate skills in a business context. You will complete a business project and have the option to visit a local business! Please note, this MUST be taken along with a Summer Language and Culture program - it is not offered as a part-time course. The English Language Centre offers short-term programs throughout the year, customized to suit the schedule and interests of individual universities and colleges. These courses are designed for a minimum of 15 students. Courses combine formal classroom instruction with a variety of social and cultural activities. This allows students to observe, discuss, and participate in Canadian culture and to practise language skills and themes developed in class. Accommodation in either University dormitories or Homestay may be arranged, depending on the time of year. Studying English while exploring one of Canada's most beautiful cities - that's the Summer Language and Culture experience! During these 3-6 week programs, students attend intensive morning classes which focus on speaking and listening skills and then enjoy a free calendar of afternoon activities on campus at UVic and around Victoria. "English for Teachers" is one of our Customized Short-Term Program options. I lived in Victoria for seven months studying at Uvic. It was one the most important experience that I've gotten in my life learning English and many things about different cultures. I really appreciated and recommend it! What a wonderful program! Teachers are awesome and CAs as well. I improved my English skillt thanks to this ELPI. I am Zet (Song Toan) and I come from Vietnam. It was a great experience for me to come here and study English with international friends. I had fun times with many buddies who come from around the world ^_^. Besides that, it helped me to have a better preparation before jumping to Uvic courses. Just remember that if you try hard, you can receive worthy results.